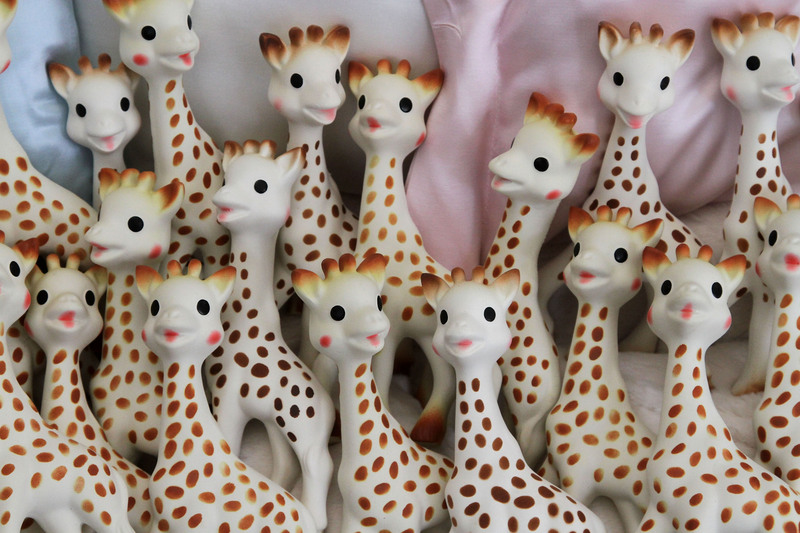 Sophie the Giraffe, the popular chew toy for babies, may look cute, but some of them might be hiding a dark secret: Cut her in half, and she’ll possibly be full of mold. Dana Chianese is a pediatric dentist who recommends teething toys to parents every single day. Her own two young boys love their Sophie the Giraffe toy. But a month ago, she noticed the air coming out of the plastic toy’s hole smelled musty. "I decided to cut into Sophie out of curiosity and discovered a science experiment living inside," Chianese told Goodhousekeeping.com. "Smelly, ugly mold living in my infant's favorite chew toy!" Chianese says she always cleaned the toy according to instructions, and never submerged it in water. And yet, it grew mold regardless. “I no longer buy any chew toys with a hole or recommend any to my patients,” Chianese said. An Amazon reviewer shared a picture of what she found when she cut the legs off of her toddler’s teething toy. "Beware!! If you have a drooly baby, moisture will get in the hole and you'll end up with mold!" Amazon user Stephanie Opera posted in a review. "We've had ours for two years and the entire inside is coated with black mold!" But what exactly are the dangers of mold? Dr. Lyuba Konopasek, an Assistant Professor of Pediatrics at New York Presbyterian/Weil Cornell Medical Center, told Care.com that unless your child has immune problems, “the likelihood of a child getting sick from this is close to zero.” Even if your child directly ingests a squirt of moldy bath-toy water. However, if your child has a mold allergy, they could experience coughing or itchy eyes. 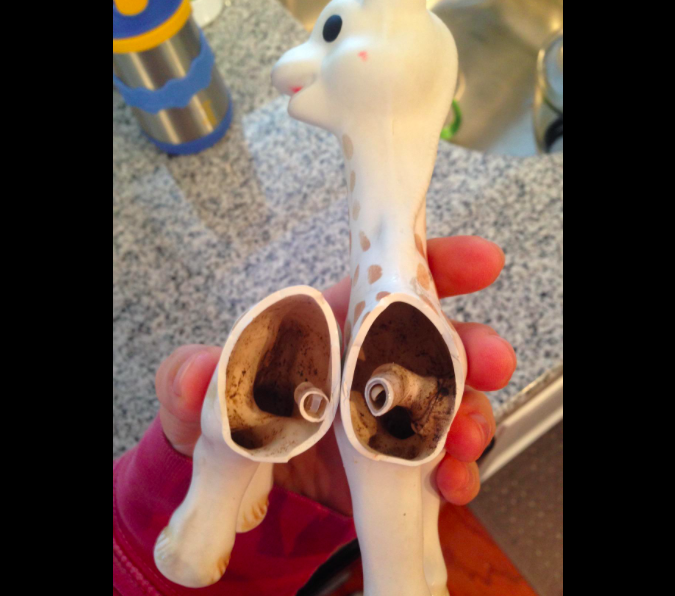 The only way to prevent mold inside hollow plastic toys is to make sure they’re thoroughly cleaned and dried. And don’t let the toys sit in water or leave them with water trapped inside between uses or cleanings. But it may be difficult or impossible to know what’s going on inside the toy. And probably best to replace the toys after a year or so, just to be safe.